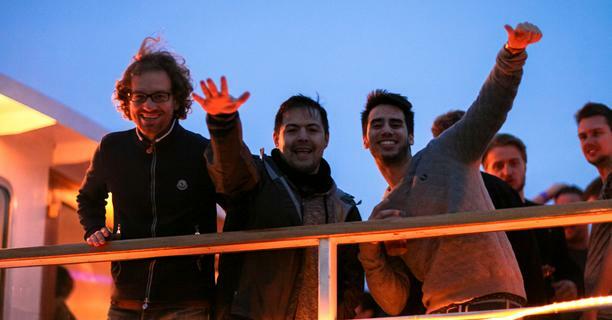 As London student party venues go, our fabulous party boats are already pretty amazing, but throw in a 10% discount* for student union and university parties on selected dates on one of our larger party boats and we think that makes us awesome! 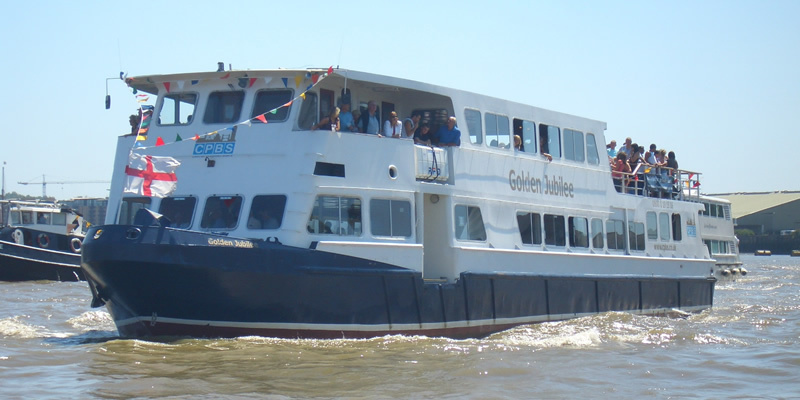 Each venue holds a maximum of 240 passengers and are perfect venues for making your University boat party one to remember. 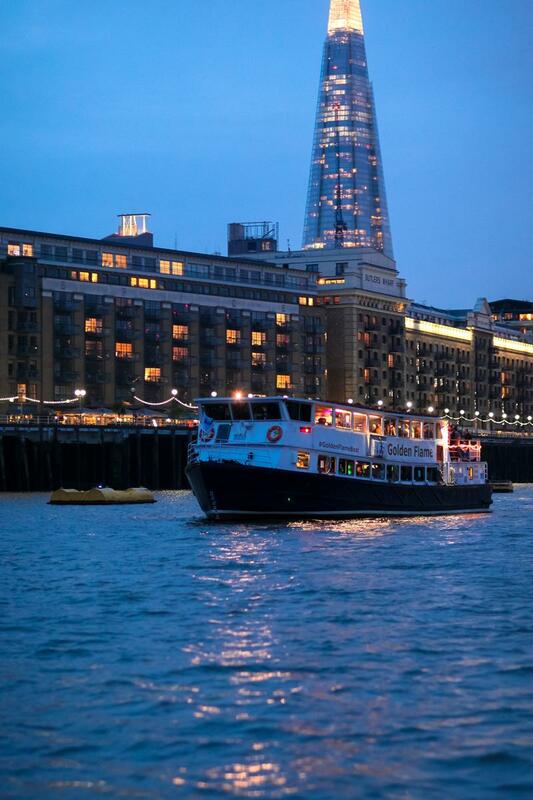 We have a home mooring at Temple Pier, directly opposite Temple tube station, and would normally sail from there however can pick up at any Central London pier at your discretion. Our in-house DJ can be hired to get everyone dancing or, if you prefer, you can bring on your own DJ for a surcharge, if they want to hire our top of the range equipment this can be arranged. Catering can also be arranged and if you have any money left over a reception drink or drink voucher is a nice way for your guests to start the night. We pride ourselves on keeping our bar prices sensible, they won't be as cheap as the student union bar (sorry!) but they are standard pub prices for Central London. Is there a chance that there will be any guests under the age of 18 onboard? Please ensure you read our Under 21's Policy. *10% discount is for student unions and univertsity parties and is subject to terms and conditions, please contact the office regarding eligibility. *10% discount applies to Monday, Tuesday and Wednesday night functions during the months of January, February, March, April, October and November, and to Monday and Tuesday nights only in May and September. This discount is not available during June, July, August or December or on bank holidays. 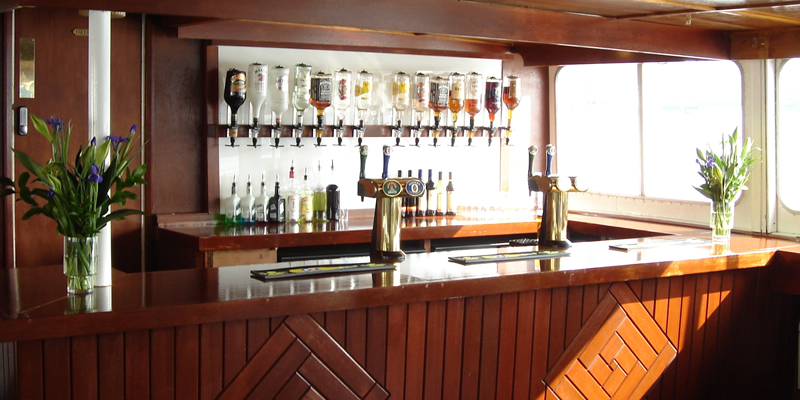 *Minimum 200 passengers per function, bar conditions apply - contact the office for more details. *All passengers must be over 18 years old. Photo ID in the form of passport or driver's licence will be requested on the night.